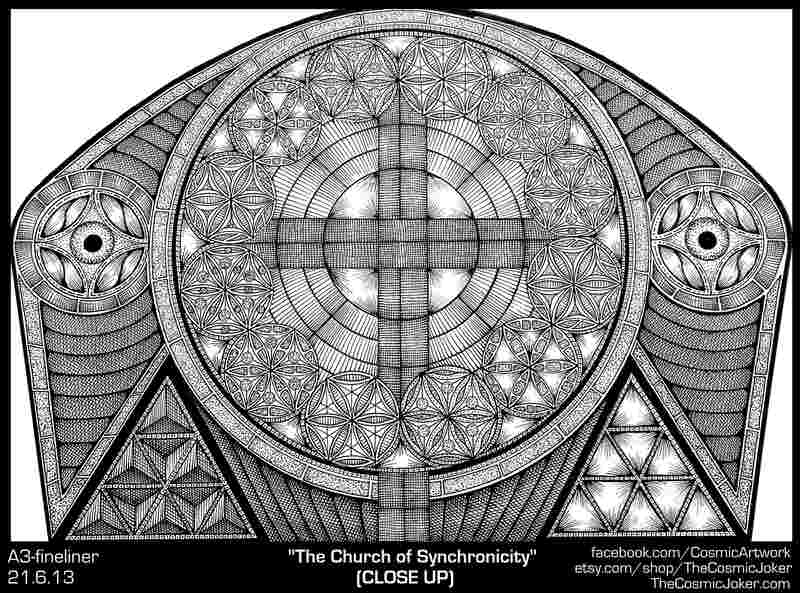 “The Church of Synchronicity” What was I thinking!? – The Art of Affecting Consciousness. “The Church of Synchronicity” What was I thinking!? So it has occured to me during conversations with others mainly on facebook, that I rarely explain my Art, its meanings or anything like that. The reason for this is it feels kind of personal and I’m not very good at explaining it. However I should try. I will talk about my picture “The Church of Synchronicity” to give you idea of what goes through my head. The symbols and themes of my Art are my passions. 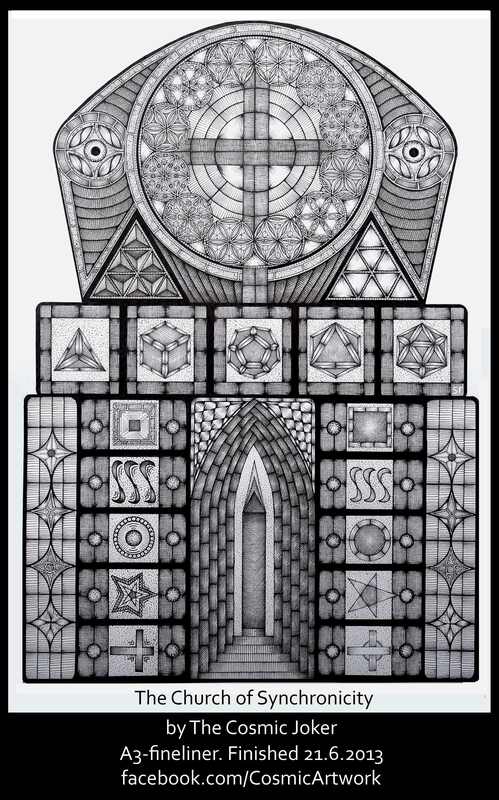 Hermetic/Egyptian knowledge, Sacred Geometry, Consciousness, a living Sun, cycles of high and low ages, Sirius, Binary Orbits that sort of stuff and more. And I want to learn how to encompass this information into my pictures. But as I’m newish to this I dont know how to do it yet properly. So in the above picture I wanted to just squeeze in some themes. I had an urge to try and combine old megalithic structures and those great big gothic cathedrals. So I threw in Stonehenge there (also a representation of pi) and built the church around it. It’s made up of Stonehenge (Stonehenge is decorated with the Platonic Solids and Zener Symbols) and the sun rising above it. The 2 triangles above the henge represent the left and right hemispheres of the brain and also create 2 obelisks out of the henge which you find at the entrances of ancient egyptian temples. What would be the stained glass window has 12 suns on it marked half way by the Sun on the Cross to represent the summer solstice. And then there’s the 2 snakes heads poking over the top! It also commerates a year of being an “Artist” so as you look into the cathedral/henge you see 1 candle cunningly disguised as an Obelisk.